A woman was horrified to find a fly in her tea. The waiter took her cup and went into the kitchen and returned with a fresh cup of tea. She shouted, "You brought me the same tea!" How did she know? She had already put sugar in it and when she tasted the new tea it was already sweet. 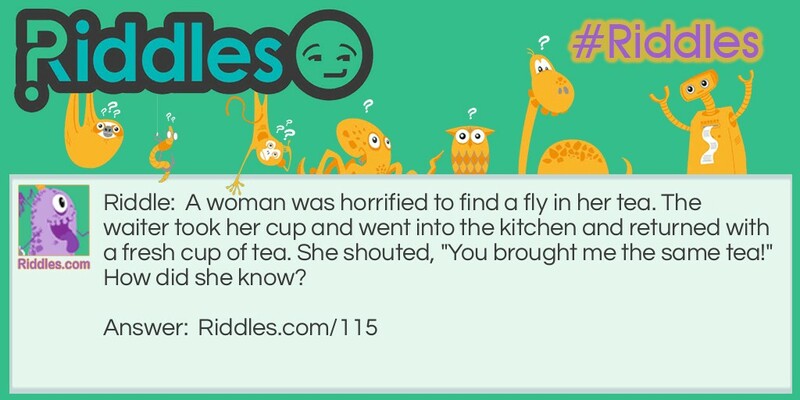 Same Tea Teaser Riddle Meme with riddle and answer page link.